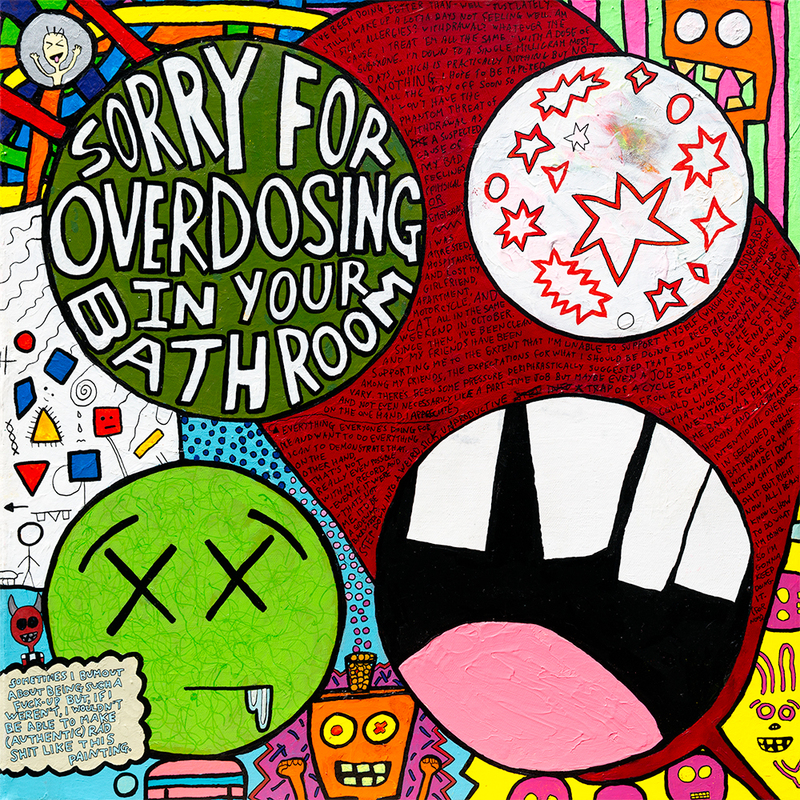 “Sorry For Overdosing in Your Bathroom.” 3/8/19. Acrylic paint. 20×20″. Painted in Sarasota, FL. Started in the spring of 2018 before my 2018 relapse, neglected for the better part of a year, resumed in January 2019, completed in March. Artist statement/blog entry for this piece has not yet been written.